Delicious marmalade produced through artisanal methods, with piquillo peppers, water and sugar. 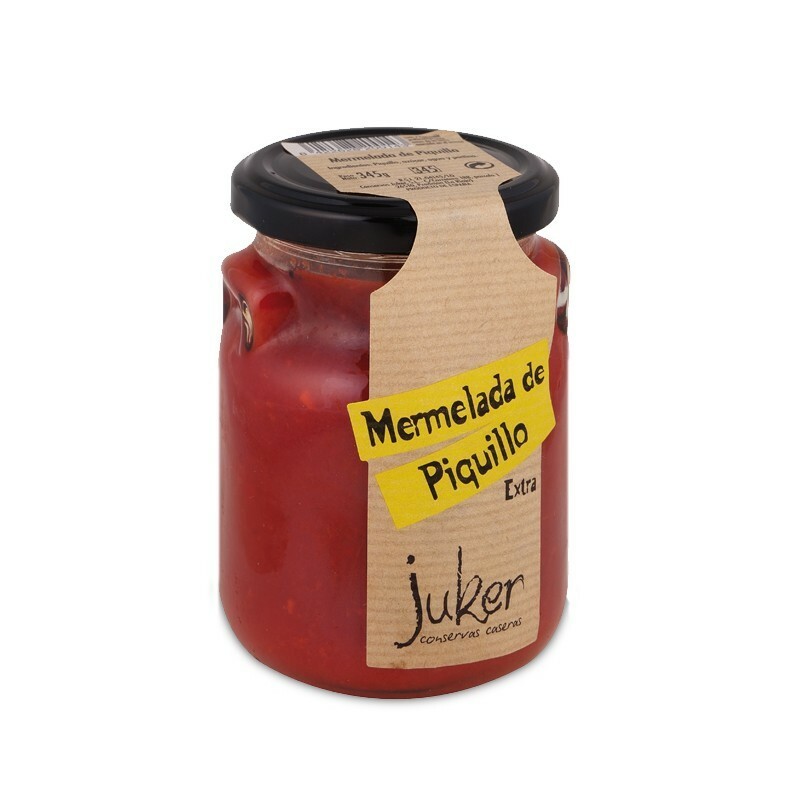 Piquillo pepper marmalade is the ideal condiment for any type of grilled or baked meat, or for aperitifs (pintxos) with cheese or foie gras. Tradition (prime materials) and innovation (production) are combined to bring you a surprising flavor and texture.